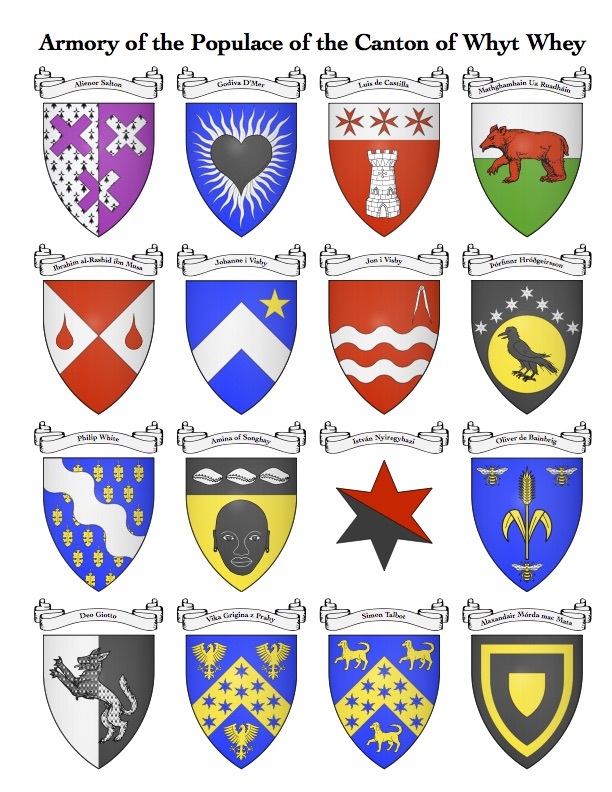 One of the first things I did after returning from Pennsic was to re-emblazon the armory of those members of the SCA who lived within the boundaries of Whyt Whey. I updated that collection in September for use as a poster to be displayed at the Cloisters demo, shown below. Previous Previous post: Greetings to the known world!